City of Ottawa’s Heritage Inventory Project is moving into our neighbourhood! The below letter is sent on behalf of the City of Ottawa’s Heritage Inventory Project. The Heritage Inventory Project is a city-wide strategic initiative which is evaluating buildings built before 1980 for heritage significance. By Avery Marshall, Adrian Phillips and Amber Polywkan, Built Heritage Researchers, City of OttawaThe City of Ottawa is undertaking a major project identifying buildings, structures and other built resources of cultural heritage value. The ‘Heritage Inventory Project’ is a city-wide project involving the surveying and evaluation of a vast array of Ottawa’s built resources, from the modest worker’s houses of Lowertown, to the fine Arts and Crafts homes in Brantwood Place, to the century old barns of Kinburn, and even the numerous bridges that span our city’s many waterways. Please connect with the City of Ottawa’s built heritage researchers: Avery Marshall, Adrian Phillips and Amber Polywkan at heritageinventory@ottawa.ca or say hello if you see us in the neighbourhood. More information about the Heritage Inventory Project is available at ottawa.ca/heritageinventory. 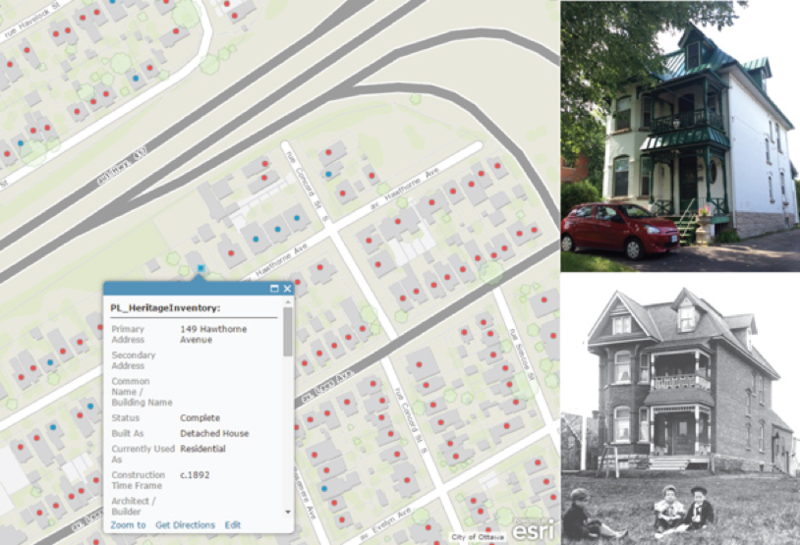 The City of Ottawa Heritage Inventory Project uses a GIS software tool to collect heritage data on neighbourhood buildings. Readers are invited to get in touch with the authors and share information about your house. Previous Previous post: Survey: What do you envision for 291 Carling Avenue?